When buying individual pieces of rebar, the price varies based on thickness and length. Thickness affects the price less than length does. Some rebar suppliers actually charge less per foot the longer the bar is. Because the cost of rebar is dependent on the price of raw steel, prices don't change much from store to store. Corrosion resistance can affect the price of an individual stick of rebar. Epoxy-coated rebar costsa little bit more per pound more than uncoated rebar, known as black rebar. Used primarily in construction where the structure is going to be exposed to marine-like conditions, it must be inspected before being installed. Nicks in the epoxy can expose the steel to corrode. Any given order of rebar can contain a varying number of sticks depending on the thickness. Ordering by the ton usually gives you a lower price per stick than by purchasing one ton of sticks individually. 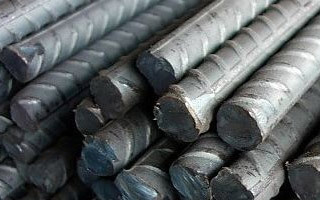 However, rebar prices are prone to fluctuations in the steel market. Prices for such commodities can vary from day to day.